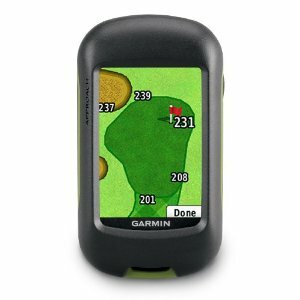 preloaded with thousands of courses across the U.S.
Give your game a boost of confidence with Approach G3, a rugged, waterproof, touchscreen golf device packed with thousands of preloaded golf course maps. Approach uses a high-sensitivity GPS receiver to measure individual shot distances and show the exact yardage to fairways, hazards and greens. Compare to the Approach G5. A bit smaller and lighter than the Approach G5, Approach G3 is ideal if you prefer to walk the course. Still as rough and rugged as its big brother, Approach G3 lightens your load no matter how you get around the course. Approach displays and updates your exact position on stunningly detailed, preloaded course maps throughout the United States and Canada. 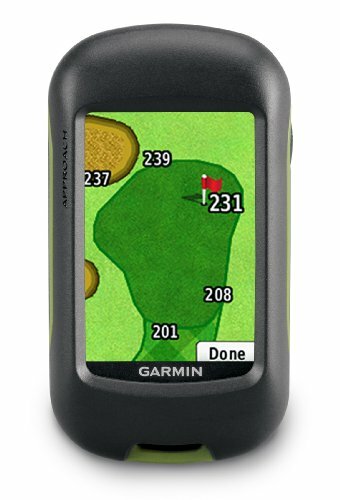 Approach’s highly sensitive GPS receiver pinpoints your position and removes guesswork from your game. And as you move, Approach automatically updates your position, so you’ll always know your yardage. There are no subscriptions or setup fees, and Approach is compliant with USGA rules. Need to measure distances for your next shot Touch any point on the sunlight-readable display, and Approach shows the precise distance to that exact spot—fairway, hazard, landing area, or the front, middle and back of the green. Approach helps you zero in on the pin with Approach's Green View. Just tap the flag on the map to zoom in on the green — then you can drag the flag to position it where you see it, giving you more accurate yardage. Approach doubles as a digital scorecard for your foursome. After the game, you can save and review the scores on your computer at home. Home view. Click to enlarge. Greens view. Click to enlarge. Scorecard view. Click to enlarge. Measure view. Click to enlarge. Garmin continues to add more courses periodically to their map data, as well as updating and improving their course maps for Approach G3. Download the latest courses for free.